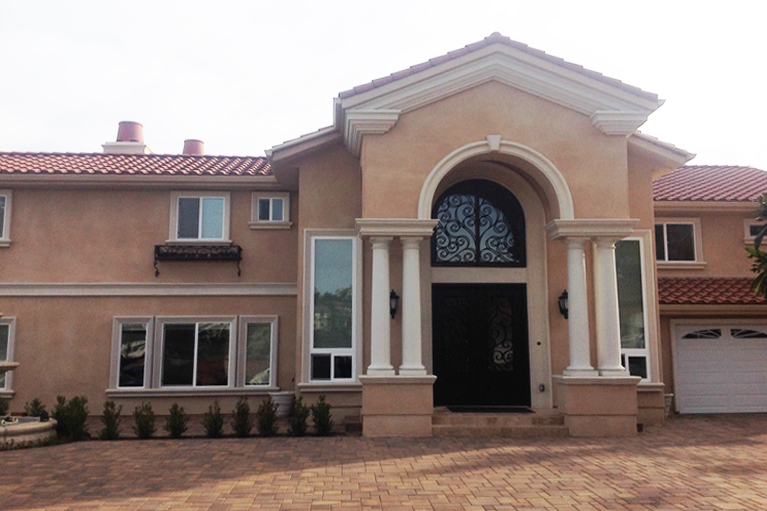 This two story home located in Diamond Bar is a good example of architectural details applied in place of pre cast concrete shapes. 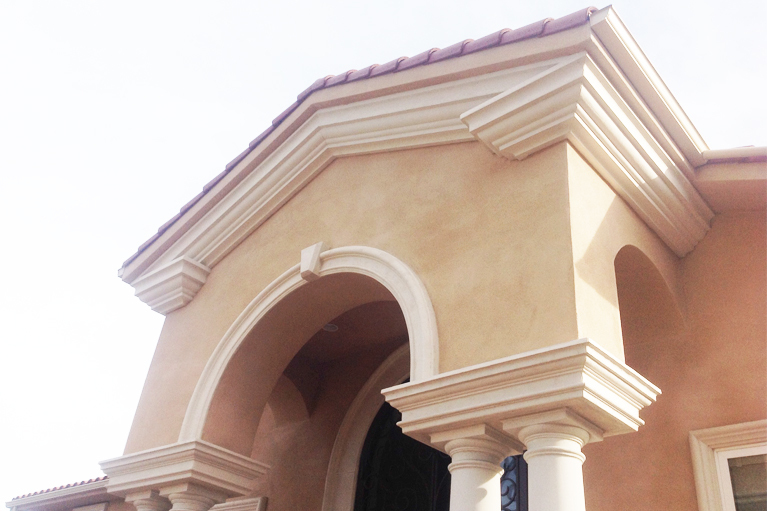 The original design specified pre cast concrete details, and the homeowner was adamant that all new details must match the texture and color of previously submitted pre-cast. The general contractor understood that the flexibility and lightness of foam would more closely replicate the details of the architects original drawing. 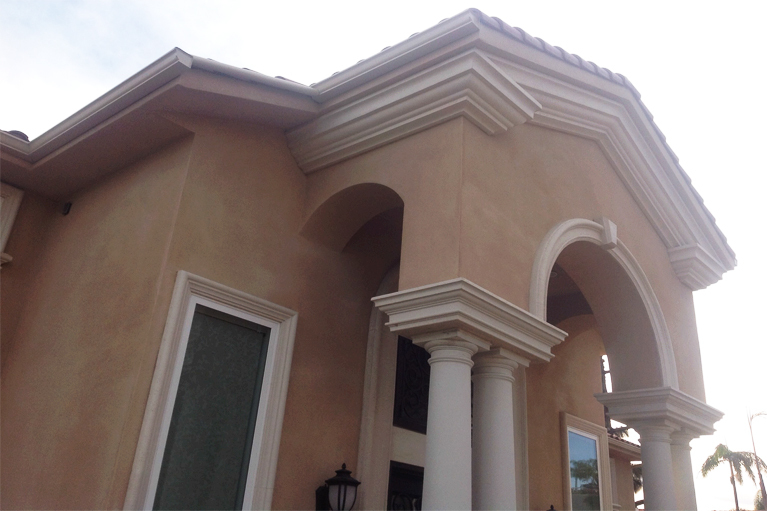 Cyrus Company skillfully matched the texture and color of the pre cast chosen by the homeowner and the result is remarkably true to the plans. We saved money for the owner, and provided the contractor the assurance of guaranteed installation. We accepted the challenge to produce solutions in hard to work areas, as usual. Cyrus company did all windows, doors, fascia, arches, caps, etc., all in stone finish.